We’d love your help. Let us know what’s wrong with this preview of Multiethnic Conversations by Mark DeYmaz. This powerful resource is a proven catalyst for transforming Christian minds, attitudes, and actions into enthusiastically embracing cultural change. Structured with eight weeks of daily readings and thought-provoking questions, this attractive and accessible workbook is an excellent facilitator for engaging open and authentic group discussion in the local church. 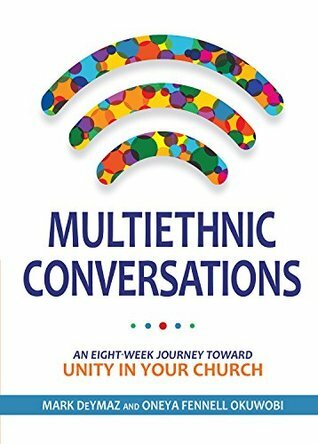 As the centerpiece tool of the Mosaix Global Network (www.mosaix.info), this book has already been instrumental in bringing together within churches so many ethnicities that, by the world?s standards, seem irreconcilable. It all begins with conversation. Mark DeYmaz is the founding pastor and directional leader of the Mosaic Church of Arkansas and the cofounder and President of the Mosaix Global Network. He is the author of Building a Healthy Multi-Ethnic Church and Leading a Heathy Multi-Ethnic Church. To ask other readers questions about Multiethnic Conversations, please sign up. Read this with my Care Circle as a Bible study over the past seven months. It was tough in the beginning as we touched on topics previously never discussed in a group setting, like how we felt about racial issues, etc. We are a mixed group half Black and the other half White. We learned tons more about each other and I think our group feels safer and we are moving closer to God’s design for mankind. Used this as a jumping-off point for our church's racial reconciliation group. So we didn't use it as intended. But it did give us a lot of thought-provoking discussion topics, regarding ethnicity, history (both general and church), and some good exercises to measure your racial competence. Very helpful discussion guide. It is not a conventional book, but would proabbly have some benefit to reading it by yourself. I recommend it for church small groups.